Eating often comes after the praying and brewing for a group of Benedictine monks in the hills of Umbria. 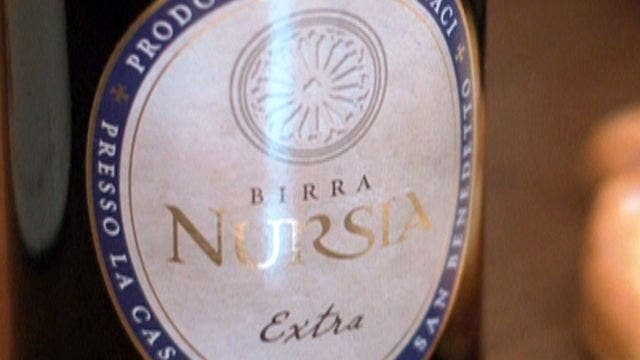 The brothers have been making craft beer to help make ends meet and fix up their centuries-old Italian monastery, and their brew is finally available in the U.S. The Belgian-style blond and dark brew is called Birra Nursia. Most of the monks at the Norcia monastery, built upon the spot Saint Benedict lived, are American, and in fact, it was their group who actually breathed new life into the ancient monastery in 2000, after a long period of disuse. They have bills to pay to keep the imposing, historic site running and ready to receive pilgrims–and beer helps the bottom line.